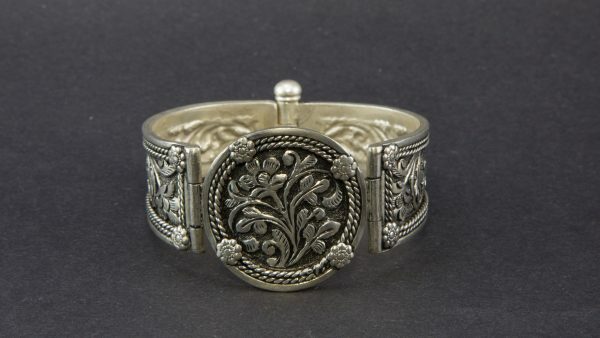 The combination of a floral motif with silver jewellery is hard to beat, and in this silver bracelet form, it looks stunning. A circular centre is perfectly complemented by a thick band style bracelet for a beautiful and unique look. 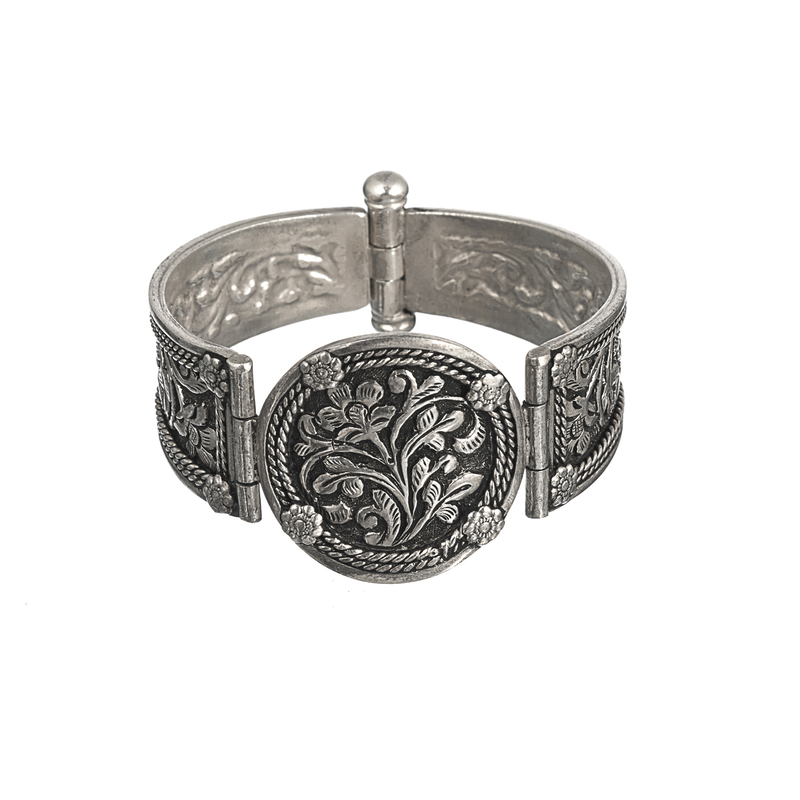 We’ve given a classic design a modern spin, making this easy to wear ornament a go-to accessory for any ensemble, be it Western-style or ethnic! 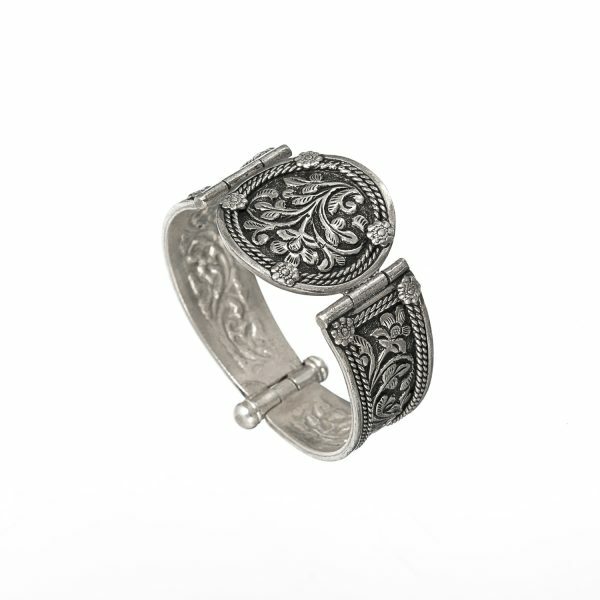 A classic sun-inspired design is ethnic but yet versatile enough to be paired with a western look. 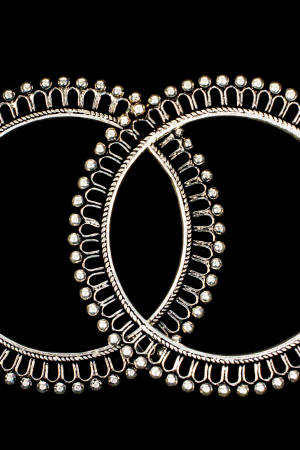 Slip into these with ease and wear them all day, comfortably and stylishly! 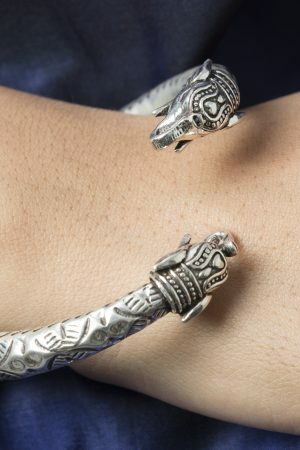 Who says accessories are only for those who enjoy making a statement? 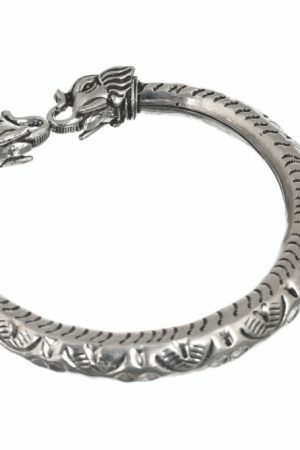 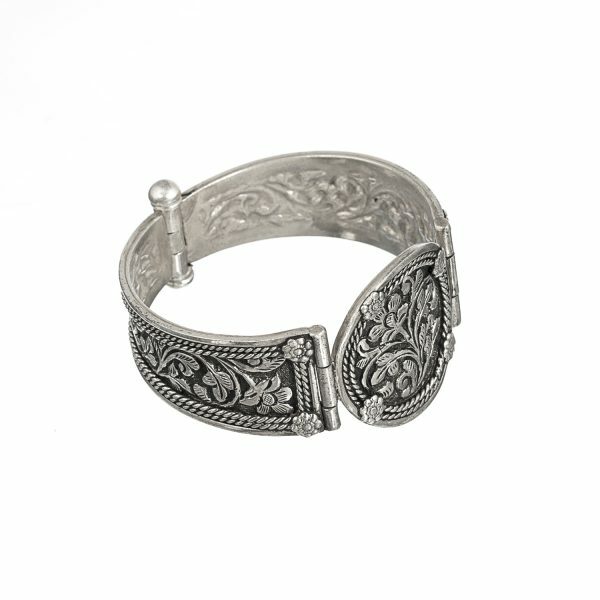 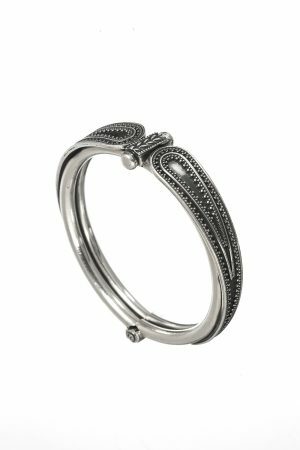 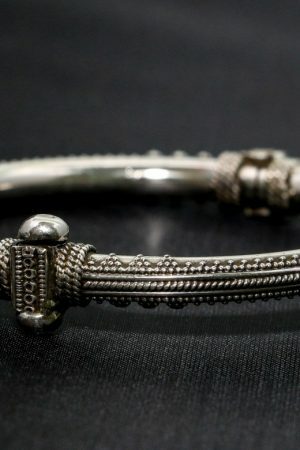 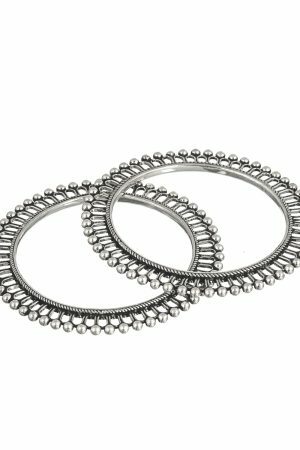 This pure silver kadha-style bangle proves that it’s easy to be stylish while staying simple. 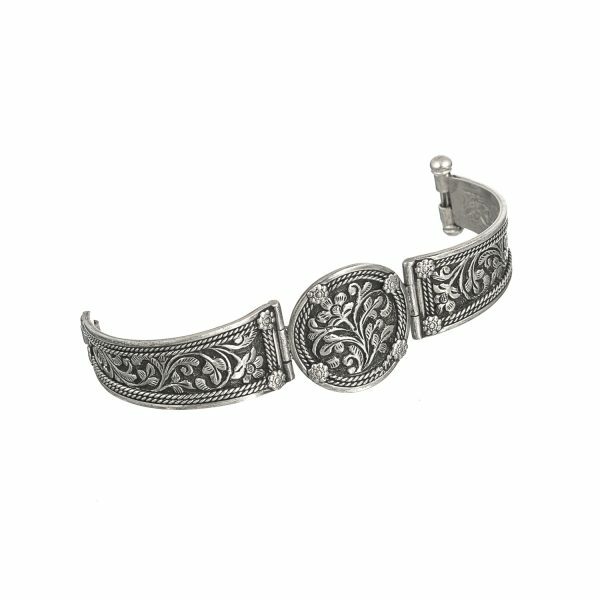 Truly elegant, wear this bangle at any time to complete your look with the right touch of wow!